The Shaftesbury Project is hosted by the Department of English at the Friedrich-Alexander University in Erlangen. Originally funded by the German Research Foundation in conjunction with the university, work on the project has taken the form of independent research since 2012, with Christine Jackson-Holzberg, Patrick Müller, and Friedrich Uehlein personally committed to bringing this collaborative undertaking to completion. The principle aim has always been, and remains, to produce a standard (printed) edition not only of the works sent to press by Shaftesbury during his lifetime, but also of his unpublished writings and of extant letters to and from the Earl. In addition, a selection of documents and textual material will be made available on this website. 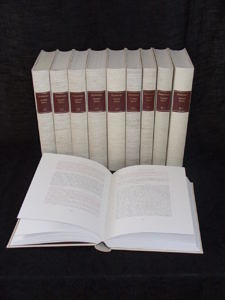 The Shaftesbury Project’s critical editions, translations, and commentaries are published by frommann-holzboog in Stuttgart-Bad Canstatt as the Standard Edition.